It's IntLawGrrls' great pleasure to welcome Dr. Neha Jain (left) as today's guest blogger. An Adjunct Professor of Law and Law Research Fellow at Georgetown University Law Center in Washington, D.C., Neha focuses her scholarship on criminal law, public international law, legal theory and comparative law. She earned B.A. and LL.B. degrees with honors from National Law School of India University, Bangalore, and master's degrees and her doctorate in law from Oxford University in England, where she was a Rhodes scholar and Editor-in-Chief of the Oxford University Commonwealth Law Journal. Prior to coming to Georgetown, she worked as a Research Fellow at the Max Planck Institute for Foreign and International Criminal Law in Freiburg, Germany. As a member of that institute’s comparative criminal law project, she participates in a study that examines certain legal systems with an aim to develop a general theory of comparative criminal law. Neha also has served as a law clerk to the former Chief Justice of the Supreme Court of India and interned with the Office of the Prosecutor at the Extraordinary Chambers in the Courts of Cambodia. 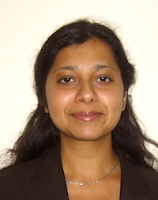 In her guest post below, Neha applies the methodology of comparative criminal law to examine international criminal law concepts respecting the means by which persons may be held liability for international offenses. Heartfelt welcome!